Although this package arrived in early December, Christmas and New Year delayed my review on this block but I’ve finally been able to complete it. I’ve loved your work since I attended a short workshop at Harrogate earlier this year and will definitely look out for your exhibit in Harrogate! I’ve started – and I’ll definitely continue! 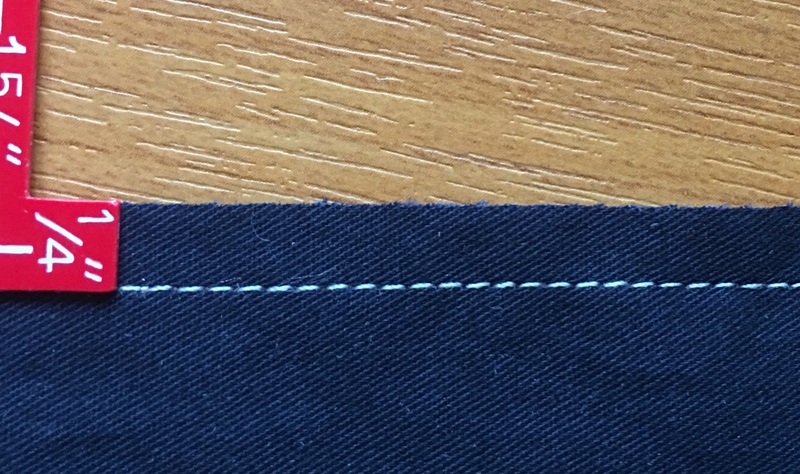 Using rulers to help you with free motion quilting – it really IS still FMQ! Yes – I thought it was such a novel idea and a great way to share! Maybe other groups could encourage their local traders to display a quilt in their windows. 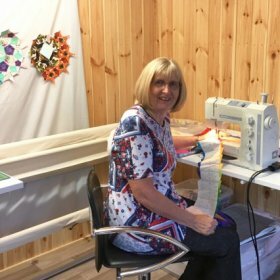 Thanks for your comment Sue – I did think it was a real novelty to see quilts in such a variety of shops and it certainly made me stop and look in the shop windows where I might have just walked on past! I so love the idea that this exhibition took with using various shop windows to display the work. Great that you enjoyed it, only wish I lived closer to have gone along to ogle at all the hard work on display. Our local tv shop (a friend) was celebrating a particular anniversary for his shop and he had a few bits from my group for display in his window. It was a one off never even gave it a thought to do in many windows!! A great idea for others those to follow. Fab Val..look forward to some more. Wow – you certainly have got this technique going well. Your detailed piece is great. 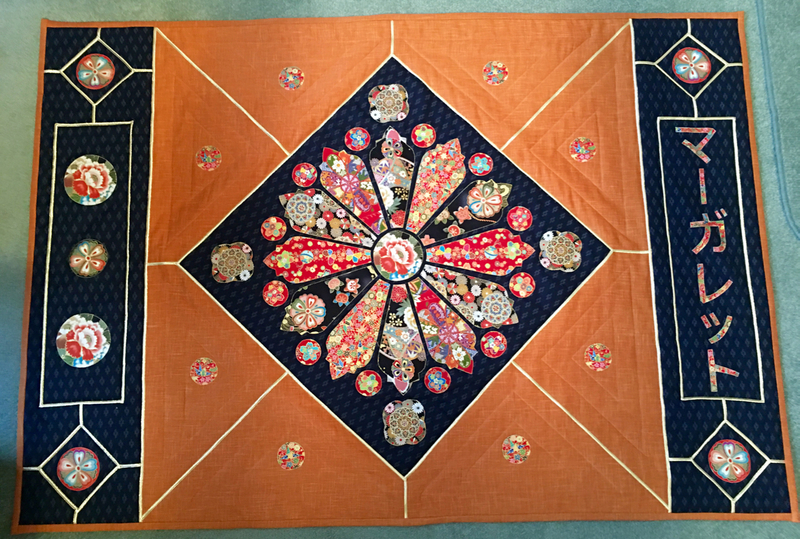 Excellent introduction for someone who is new to the quilting world, thank you. Thanks Sue! It’s amazing that there is such a variation, isn’t it? Always best to check I’ve now learnt! Excellent suggestion. I have 3 machines and they all have 1/4″ feet and they are all different size!!!!! I’m definitely going to try this out. So simple too. Thanks Linda. You saw it all in the making too! So glad you enjoyed your first retreat experience at Quilt Sandwich. Dread having to bury all those threads after quilting? 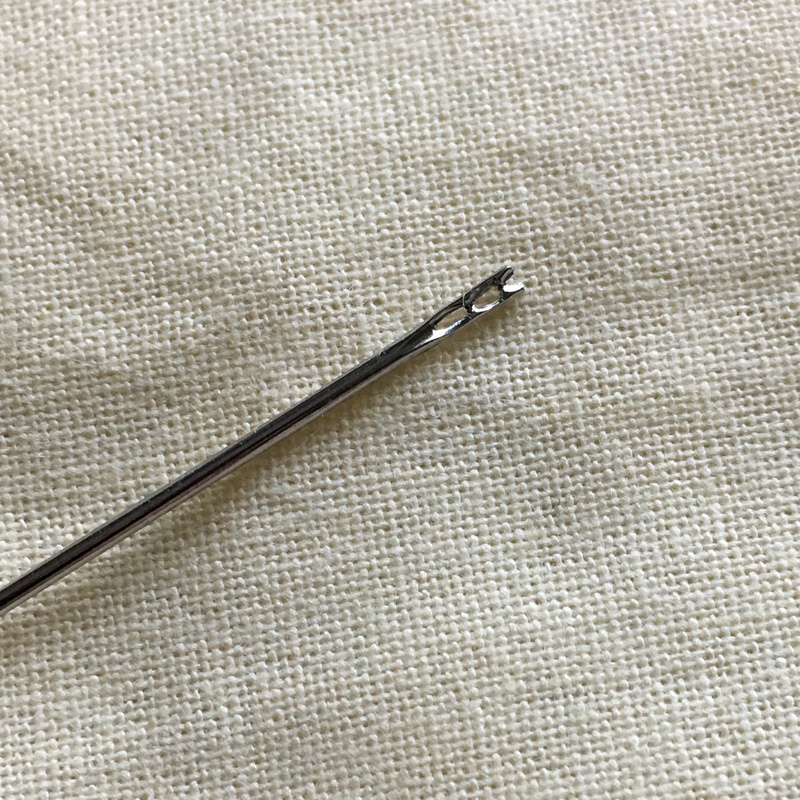 A self-threading needle will save you loads of time and it simply won’t be the chore it once was.